This antibody may replace item sc-133537 from Santa Cruz Biotechnology. 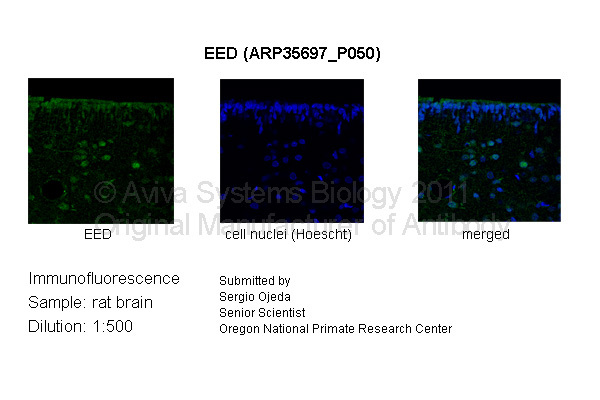 Find tissues and cell lines supported by DNA array analysis to express EED. Find tissues and cell lines supported by RNA-seq analysis to express EED.